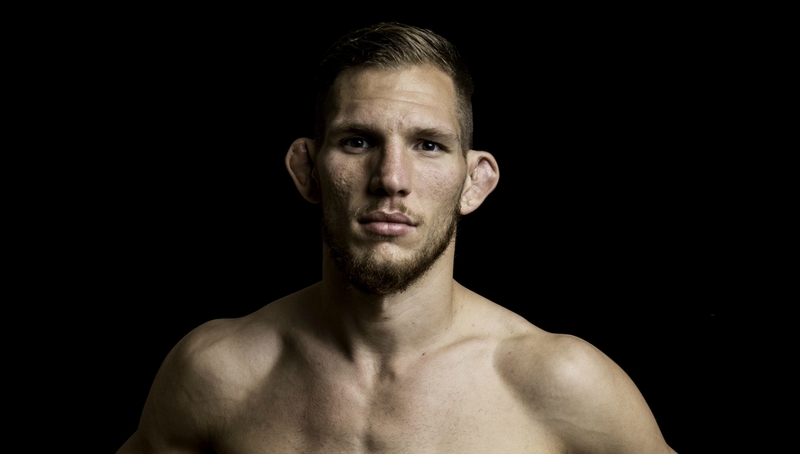 After a stint in the UFC, British mixed martial arts fighter Luke Barnatt is heading to Dubai for Absolute Championship Berkut (ACB) 81. The former doorman only got involved in the fight game after a colleague challenged him to a scrap after their shifts working the doors. The young Barnatt, fancying his chances against his co-worker, accepted the challenge and found himself on the wrong end of a beating in the gym. After a one-sided beating, he dedicated himself to the art of self-defence and made an impact on the domestic scene before an opportunity with the UFC came knocking. In 2003, Barnatt, who was living in the gym he was fighting out of in Cambridge, UK, saw an advert for Ultimate Fighter, the UFC’s reality TV series. The former middleweight borrowed money from a friend to fly to Las Vegas for a try-out. After impressing the judges Barnatt was offered a place on the show, where he would make it through to the quarterfinals. A contract with the UFC followed where he fought five times, winning twice. He’s since gone to fight on the independent MMA scene and has a record of 18 fights, 13 wins and five losses. His next bout is on the Absolute Championship Berkut (ACB) 81 card, taking place at the Dome, Sports City, Dubai, on Friday 23rd February. Here, the twenty-nine-year-old speaks exclusively to Sport 360 about his upcoming bout with Maxim Futin, making money in MMA, Floyd Mayweather and Conor McGregor. What do you know about your ACB 81 opponent Maxim Futin? Maxim I know pretty well, I’ve worked with ACB before and actually commentated on one of his fights before. He faced an opponent of mine, Max Nunes, previously and Max beat him, and I beat Max. I don’t know much about him personally, we’ve never actually met or had a conversation but I know his fighting style and his stance so I know what he’s about. I’ve gone from middleweight to light-heavyweight, which I’ve been fighting at for around eight years, but I’ve already had two fights at light-heavyweight and I’m never going to fight at middleweight again. The MMA fraternity is fairly small; do you mix with opponents before fights? Not with this fight because Maxim’s Russian so I haven’t bumped into him previously but with Nunes, we’re actually friends now and we’ve trained together in the same gyms. Maxim I’ve seen about at ACB shows but we’re not friends. How long have you been in training for ACB 81? I’ve been in training since Christmas for this fight so it’ll be about an eight-week training camp. Generally I’ll do between six to twelve week training camps, so it’s normally about two months. When I finish this fight I’ll be back in the gym two weeks after with no further fight in mind. You’re 29 now, does MMA provide you with a good wage or do you have other income sources? It’s my sole profession but MMA isn’t really something you can live off when you’re just starting out. I went to the UFC for three years and once you’re there you can pretty much live off the sport. Following that I got to the point where I could rely on MMA for an income but I also have side projects as well, like a gym I run in Malaga, Spain. Is the aim to get back to the UFC? I’ve been there and done the UFC, I actually could have gone back there before I signed my contract with ACB, but I had a fight with the ACB and actually lost so that set me back a little bit. Where I’m at now, I’m very happy with the promotion and where I am, they treat me well so I’m happy to help push ACB rather than go back to the UFC. With the change of weight-class I can see myself fighting for the light-heavyweight title in about a year. There are easier ways to make a living than fighting, why did you get into it? I used to be a doorman when I was younger and a guy I used to work with used to fight. He got me started because I used to think I could beat him up and he challenged me to a scrap in the gym one night, and he beat me senseless so that’s when I decided I had to learn how to fight properly. I also wanted to learn how to defend myself in the real world because I had a bit of a misconception of where I was at physically. I began training four times a week and fell in love with doing it and making myself better. It was never meant to be a profession but as I got more into it I decided to have a go at it properly. What was the selection process for The Ultimate Fighter? At the time I was undefeated in the UK and the UFC put out a try-out form and this was when I was living in the gym I was training at because I’d given up my job in marketing. I didn’t have any money at the time so I actually borrowed money for the try-outs, which were in Las Vegas. They put you on the pads and interview you and stuff and luckily for me I got in. I was 24 at the time and I’d only been doing MMA for three years and the season, Ultimate Fighter 17 was one of the best seasons, and at that point I got a contract for the UFC. Floyd Mayweather has been teasing fans lately with a UFC debut. How do you think he’d get on? Floyd is amazing at what he does but we’ve already had it with James Toney, a heavyweight-boxing champion, who tried his hand in the Octagon. He fought Randy Couture and it didn’t go well for him [Toney tapped out after 3 minutes of punishment]. As amazing as boxing is, which Floyd is a master of, MMA is a totally different game. I’m sure he knows that, especially at his age. People in the UFC aren’t going to stand in front of him and let him punch them. If he got into a cage with Connor McGregor he’d lose. In fact if he fought a sub-par, average fighter in the UFC he’d lose. The sport of MMA has so many skills involved, you have to be able to adapt and do so many things. Grappling alone takes years and years of hard work and mat time to get to any sort of level. A good amateur MMA fighter would beat Floyd Mayweather. What about McGregor’s chances as a boxer? McGregor did pretty well against Mayweather but to make a career of it is a different thing. I think he wanted to be a boxer initially actually but he wasn’t good enough and he’s much better suited to MMA. He’d struggle against other good boxers. Maybe he’ll have a few huge fights because he’s already such a big name but if he had to do it the hard way and come up the ranks and go to the Olympics and win a gold medal for boxing I think he’d struggle. He found his home in MMA so that’s what he should stick at. You can’t just switch between the two, they’re completely different sports. To an observer they might look similar but they not. If McGregor was to go into boxing now he’d be undoing all his hard work he’s done in the UFC. Have you been to Dubai before? I’ve been over to Dubai once and Abu Dhabi once before for a UFC event a few years ago. It’s a nice touch to be fighting there but I live in Spain so we have the same sort of weather anyway, so I’m used to the environment. It’s once of the best things about fighting actually, you get to see the world. I did a bit of training in Sweden actually, which was great too. ACB 81 comes to The Dome, Sports City, Dubai Friday 23rd February. Tickets are available from dubai.platinumlist.net. The Mayweather-McGregor clash last year was a box-office success. MMA star Conor McGregor switched to the boxing ring to make one of the richest professional fights in history possible and now Floyd Mayweather hints he might return the favour. Mayweather, who hasn’t fought since knocking out McGregor in that boxing match last year, teased fans by posting a picture on his Twitter page of himself wearing mixed martial arts gloves and standing in an UFC cage. “Billion Dollar Man,” Mayweather said in the tweet. 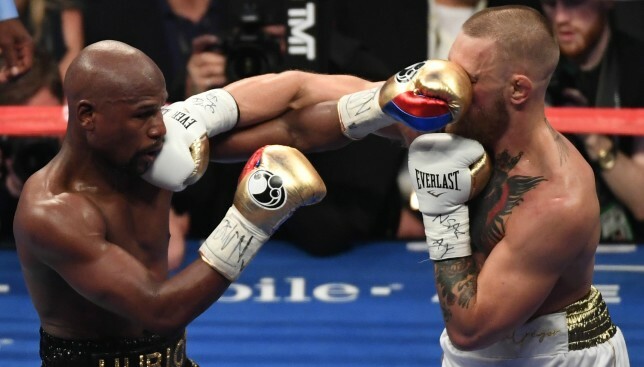 Mayweather and McGregor’s cross-combat fight in August failed to live up to the hype in the ring as veteran Mayweather easily outpunched the inexperienced McGregor. But the match-up did well at the box office. The contest generated 4.3 million pay-per-view buys in North America, trailing only Mayweather’s 2015 world title boxing match with Filipino Manny Pacquiao that generated 4.6 million buys and earned $600 million. It is the second time this week Mayweather has teased his fans with the idea. Earlier this week he posted video on Twitter and Instagram of himself shadow boxing in a cage. Mayweather’s August fight with the Irishman was supposed to be his last as it secured his perfect 50-0 record. But the American has retired several times only to negotiate “comeback” fights for bigger paydays. 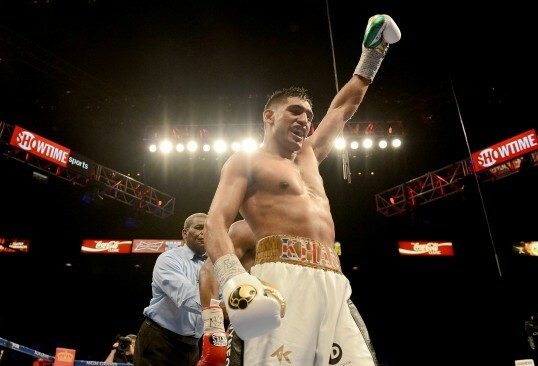 Amir Khan‘s ring comeback will see him face Phil Lo Greco in Liverpool on April 21. Khan recently signed a promotional deal with Eddie Hearn after a spell out of the sport, and the 31-year-old is now in training for his return. “I can’t wait to get back into the ring on April 21 at the Echo Arena in Liverpool,” said Khan. “Phil Lo Greco will be coming with everything to win this fight and I’m not going to give him an inch. He’s an aggressive fighter who is always looking to press the fight and come forward. That makes for a very exciting and action-packed fight for the fans. “That makes for a very exciting and action-packed fight for the fans.